The trend in many industries is towards smaller, more complex and more reliable devices with higher levels of performance, shorter design cycles and lower costs. Get ahead of innovation pressure with Chemical Etching. Raise the bar on precision, tolerance, cost- effectiveness and the capability to withstand higher temperatures with Chemical Etching. 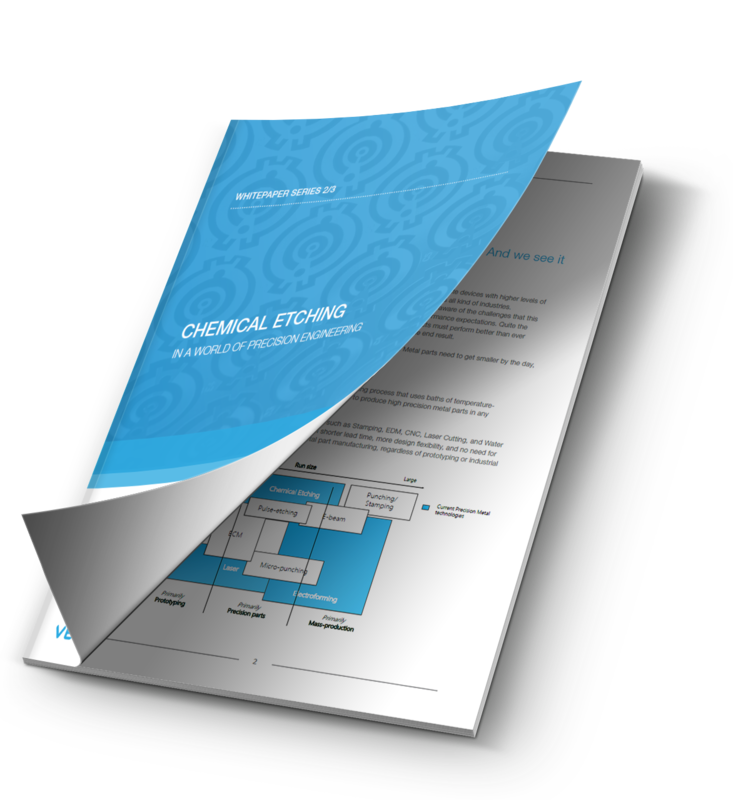 Discover why Chemical Etching is your go-to technology for innovation of your company. You need to accelerate lead time in every step of the process. From prototyping to high- precision metal, Chemical Etching can get your products to the market faster and better. Share your knowledge with your colleague or friend!